Western Istrian wine region, Buje area. Vineyard is located near the Istrian village of Krasica. It produces extraordinary grapes in small yields. Th is 100% Istrian Malvasia is skin-fermented for several days, following which it is aged on fine lees in French oak and acacia barrels for 30 months. The wine has extraordinary power and unusual freshness, reminiscent of Malvasias produced in ancient Mediterranean style with a lot of tertiary aromas. It is produced only in exceptional vintages. 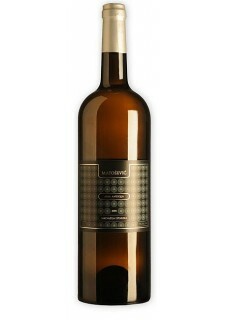 Alba Antiqua is primarily aimed at gastronomy, to be paired with intensive dishes. It can also be served as a meditation wine. Food pairing: Fish baked in oven, seafood.